In the early 1990s, we noticed that the balljoints the industry was switching to in solid-axle vehicles were not holding up as well as people thought they should. We looked at aftermarket alternatives and didn’t find any better quality, so we set out to engineer and build our own Heavy Duty Ball Joints.™ We wanted them to be as strong and durable as older kingpin setups, but to provide better control and accuracy like a balljoint. We also decided to make ours rebuildable, and exclusive for the performance off-road market. Worn ball joints can cause increased tire wear, poor handling, unpredictable steering and what is known as death wobble, an uncontrollable and often violent side-to-side shimmy of the front wheels. Factory ball joints are subject to premature wear when used with heavy diesel engines, snow plows or large tire and wheel combinations. Adding a lift kit and regular off-road use exacerbate the issue. In some common applications, other replacement ball joints can last as little as 5,000 miles because of low-quality imported materials and an inferior design. Since the factory ball joints are not rebuildable, you have to throw away the entire unit once the plastic race inside the ball joint fails. Adding insult to injury, factory ball joint replacement is a difficult and time-consuming process that requires expensive specialty tools. Dynatrac ball joints are much more durable than stock and feature a replaceable heat-treated stainless steel military-spec spherical bearing encased in a high-strength, heat-treated billet steel body. A heat-treated chromoly stem is fitted inside the removable bearing. Dual sealing technology keeps contaminants out of the joint. The spherical bearing is lined with Teflon and purged with grease via a low-profile fitting, making sure the ball joint lives a long, trouble-free life. 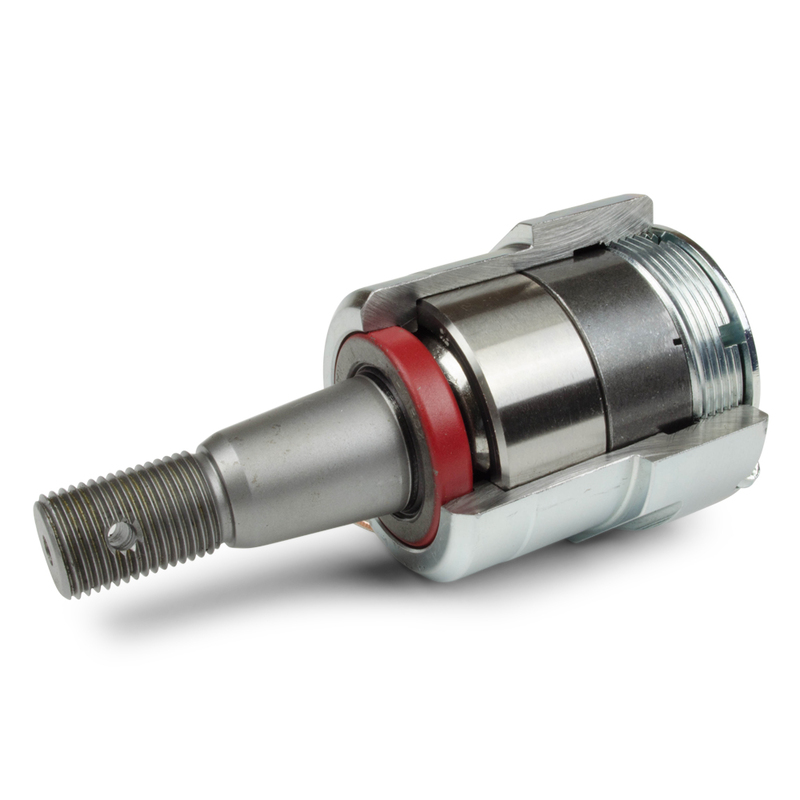 The Dynatrac ball joints provide higher strength and longer life and, once installed, can be rebuilt on the vehicle without special tools. This feature allows servicing the ball joints more easily in the field or at home in your garage. Rebuilding the Dynatrac ball joints costs less than having new OEM ball joints installed at an alignment shop or the dealer. Dynatrac guarantees the correct fitment of all Dynatrac ball joints on approved applications for axles and knuckles manufactured by Ford, Dodge, Ram, Jeep, Dana, AAM and Dynatrac. The Dynatrac ball joints are the last ball joints you’ll ever have to buy for your 4x4.